The Goalie Coaches Clinic held Nov 19, 2017 is officially a success, not only did the Goalies who attended get some, always needed, ice time, they were shown and learned some great new drills specially designed for Goalies. 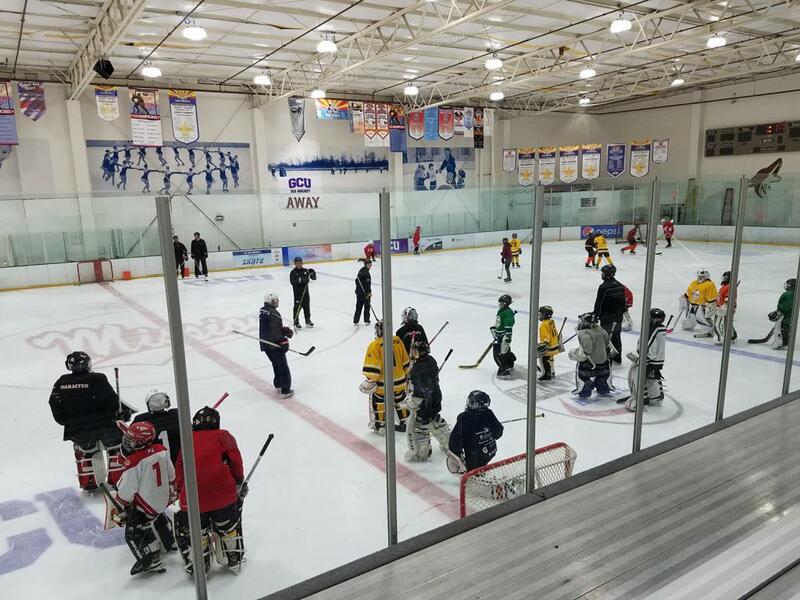 In addition there were a number of Coaches who became much better Coaches by adding to their skills some much needed specifics on just how to train a Goalie. A huge thanks goes out to Larry Gibson, our Director of the State Coaching Education Program and Goaltending Coordinator for a very successful clinic and everyone keep checking back, Larry tells us that there is more to come.